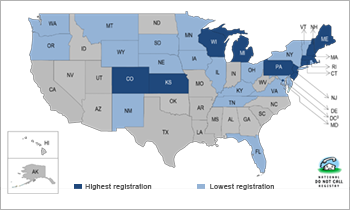 An appendix with registration and complaint figures organized by consumer state and area code. 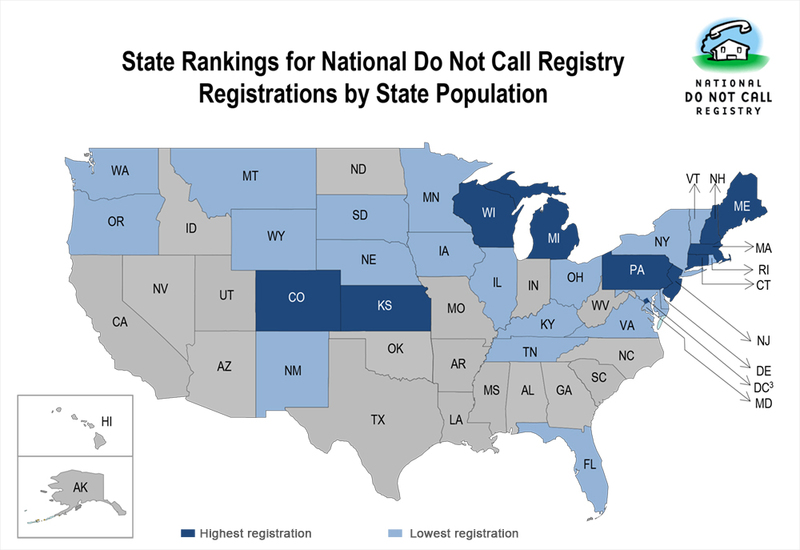 According to the Data Book, at the end of FY 2016, the Do Not Call Registry contained just over 226 million actively registered phone numbers, up from the 223 million at the end of FY 2015. In addition, the number of consumer complaints about unwanted telemarketing calls received increased from just under 3.6 million during FY 2015 to just over 5.3 million during FY 2016. During the past fiscal year, the FTC has continued to receive many consumer complaints about telemarketing robocalls. The number of complaints varied by month, ranging between a low of 134,029 in November 2015 and a high of 265,676 in August of this year. Most telemarketing robocalls have been illegal since September 2009. As part of the FTC’s ongoing efforts to stop illegal robocalls, the agency announced several new enforcement actions, including a case brought with the assistance of the U.S. Department of Justice targeting a lead generator who used robocalls to pitch solar energy packages, as well as an action permanently barring vacation package pitchmen from using robocalls to defraud consumers. Finally, in FY 2016, the FTC staff provided comments to the Federal Communications Commission on the use of robocalls to collect debts owed to the federal government, as part of its continued work to help inform other agencies about robocall issues. Information for consumers about the Do Not Call Registry, company-specific do not call requests, and telemarketer Caller ID requirements can be found on the FTC’s website, and consumers can sign up for the National Registry for free. Other information about robocalls and what consumers can do about them also is available.